This is a jacket I created for my partner, who was kind enough to model it for me in exchange. 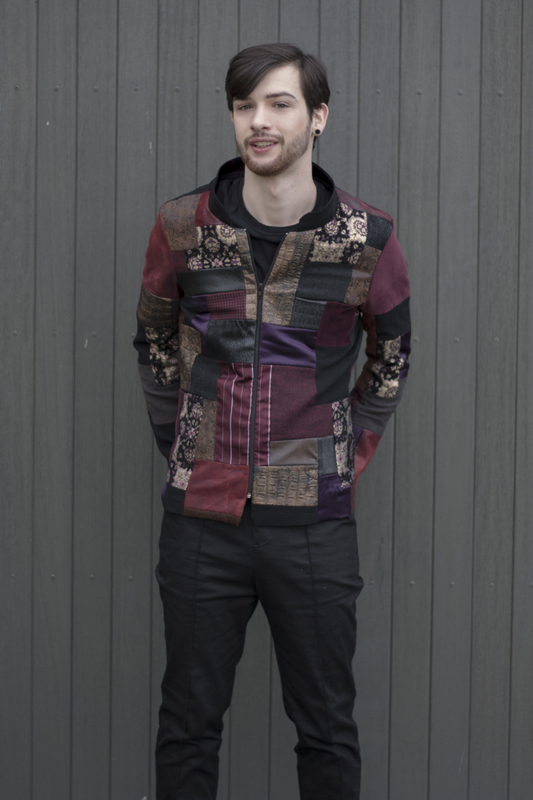 I created the shape of the jacket solely through the seams in the patchwork, so it was very fiddly and time consuming but also lots of fun to make. The fabrics used are a broad array of brocades, textured faux leathers, wool suitings, satins, velvets, suedes, drill and anything else I could find in my studio. It was a great opportunity to use those pieces of beautiful fabrics I’ve collected that I didn’t have enough of to make a full garment.